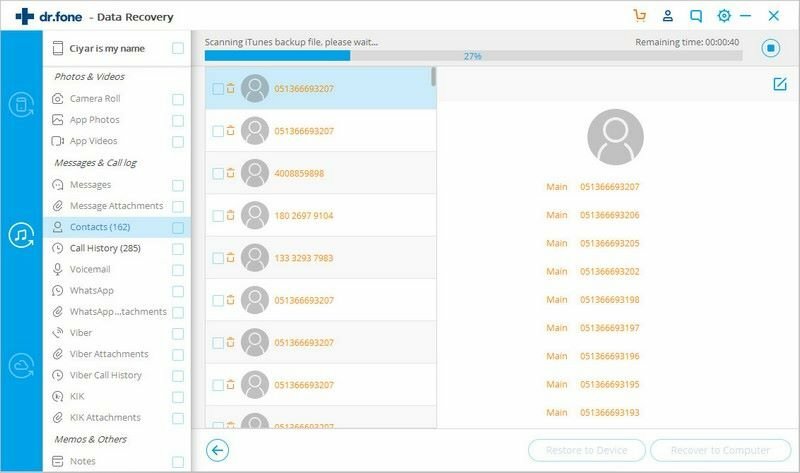 If you have ever backed up your iOS device to iTunes, then you are lucky enough to recover them with the help of iSkysoft Toolbox - Recover (iOS). Here is how you get your missing files back from iTunes. 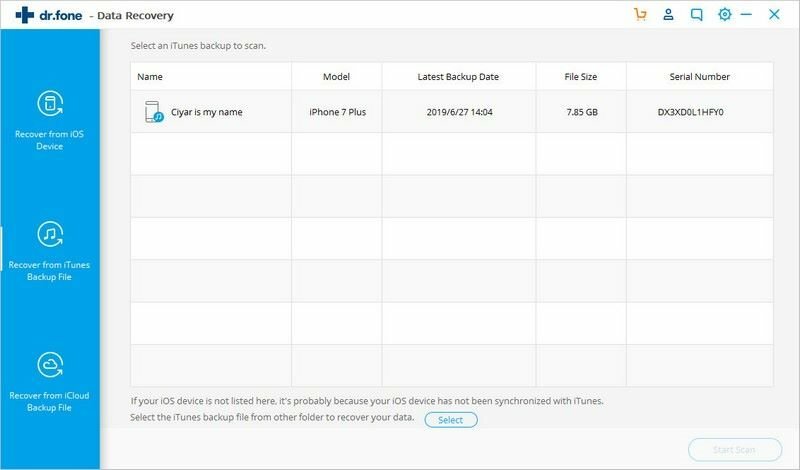 Launch iSkysoft Toolbox – Recover, click “Recover from iTunes Backup file”. By default, all the iTunes backup files will be automatically detected and displayed in the chart. 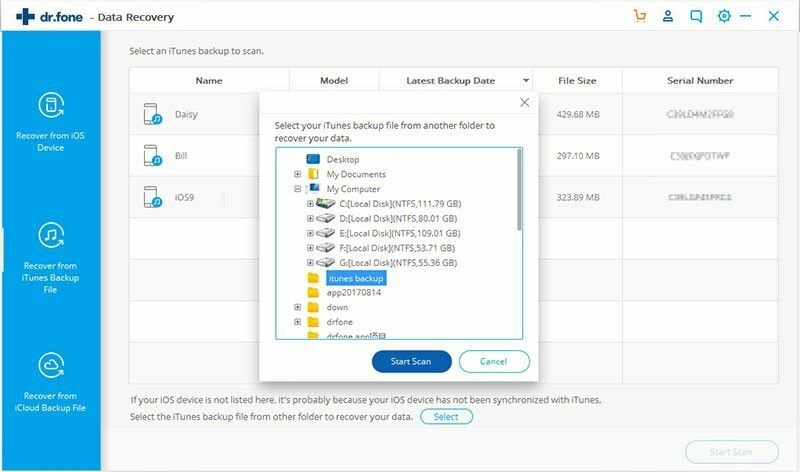 Choose the one that contains the data you need and click “Start Scan”, letting the software extract the iTunes backup file for you. But if you cannot find your device in the list, mostly it’s because your iOS device has not been synchronized with iTunes before. So you need to hit the Select button near the bottom to browse your local folder and select the iTunes backup file to recover data. When the scanning process comes to an end, the iTunes backup file is extracted and displayed in categories on the result page. 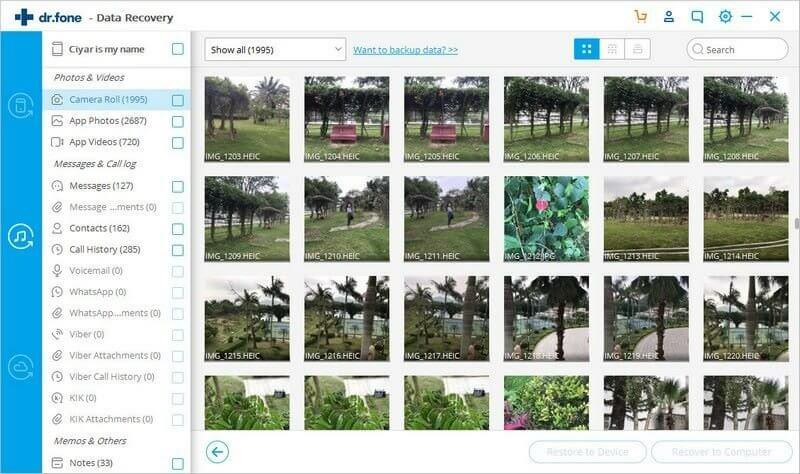 Next, you can click the corresponding data to preview it before going forward. After then, select the ones you need and click “Export to Computer”. By default, the data will be saved to your computer again. 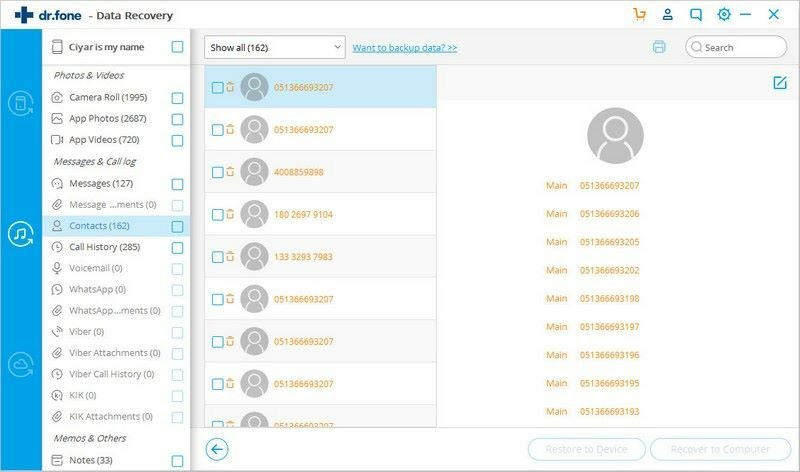 If you’re recovering contacts, text messages and notes, you can connect your iOS device with your computer via a USB cable beforehand, then restore them to your device again.